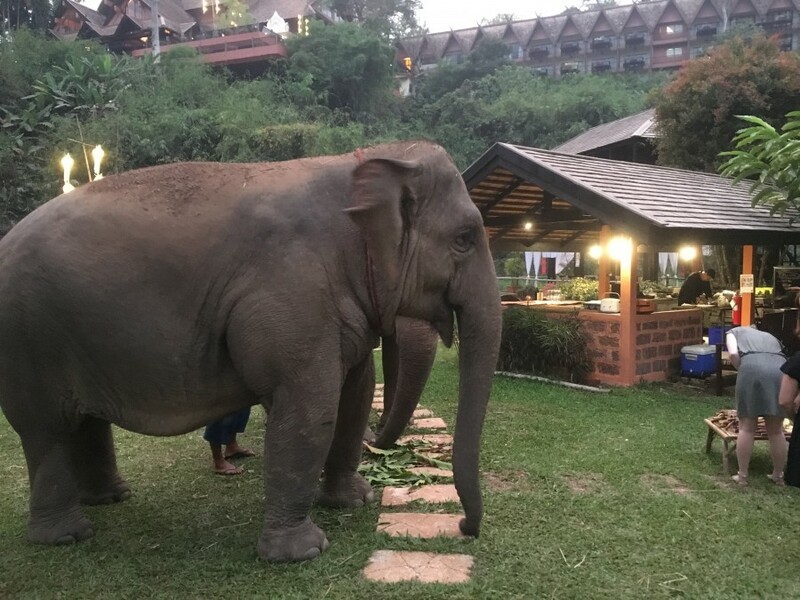 This is light years away from her previous existence when she was walking the streets of Bangkok with her mahout – her owner – before being chained up for hours on end. Lonely. Forgotten. Bored. 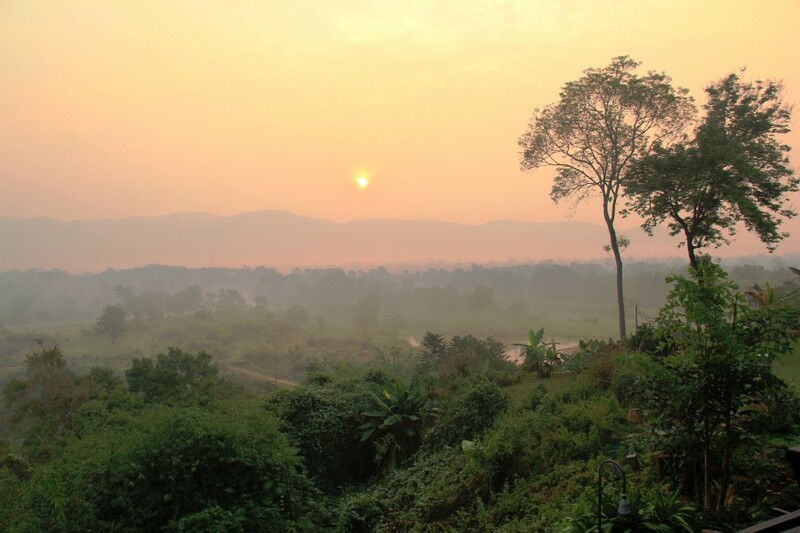 Since 2008, the Golden Triangle Asian Elephant Foundation, supported by the adjacent Anantara Resort, has been rescuing captive and distressed elephants and providing a safe and sustainable income for their mahouts and their families. It’s a re-education process through change and support and it is reaping rewards; over sixty elephants and their owners have been introduced into the reserve over the last ten years. But there’s also a consumer benefit too. It’s a genius way for resort guests to experience the thrill of a few hours with these gentle giants close up and personal as part of a signature experience excursion. 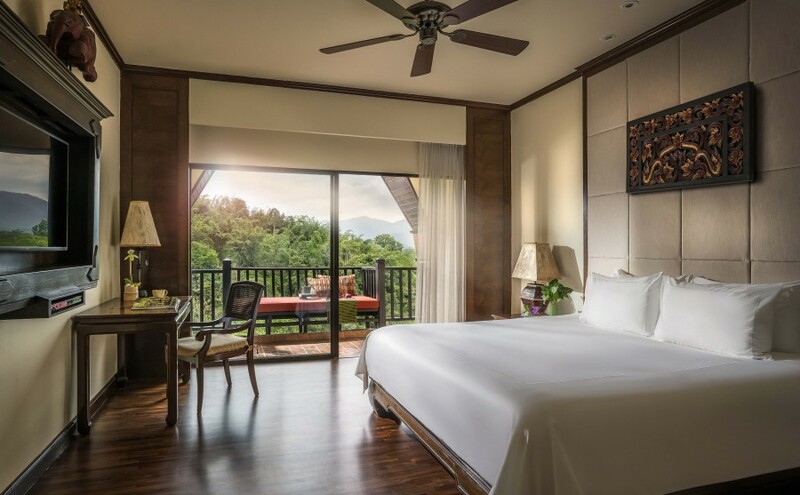 The Anantara Golden Triangle Elephant Camp & Resort is a luxury all-inclusive retreat perched high up on a ridge overlooking the confluence of the Mekong and Ruak rivers, northern Thailand’s natural border with Myanmar and Laos. Three countries from the comfort of my private terrace, that’s a first. Up here it’s blissfully quiet save for the jungle’s cast of characters; an occasional cackle from a passing parakeet, or a trumpet from a grazing elephant down below. But this is no ordinary rustic retreat. 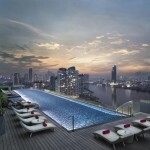 It is an oasis of luxury that effortlessly holds hands with its natural surroundings. My room has that classic colonial feel (although Thailand has never been colonised); polished teak floor, traditional artwork and high thread-count linen on an impressive king bed. But the enormous terrazzo bath and shower is a show-stopper, perhaps big enough to share with an elephant if needs be. There’s a nod to modernity with a flat screen TV, DVD, Bluetooth and an espresso maker but the star of the show is the view; floor to ceiling glass slides back to a terrace overlooking the canopy and my three-country parade. 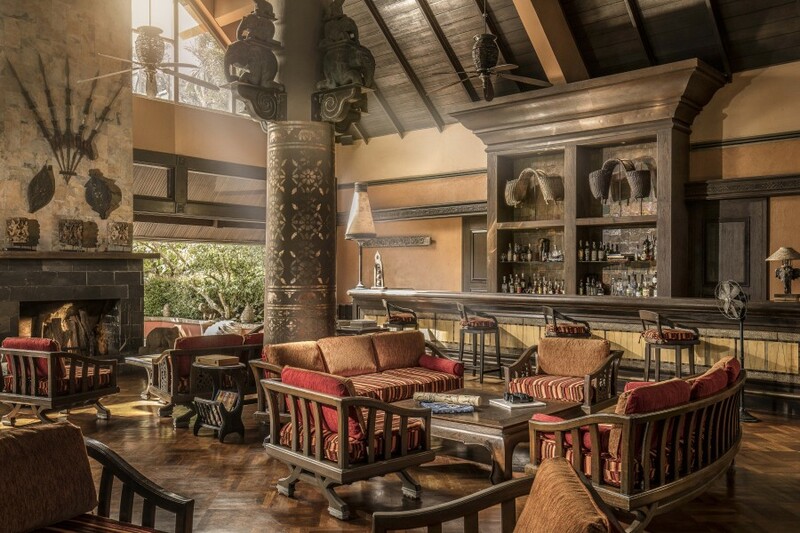 Outside, past the lobby’s twin reflecting pools, lies the main pavilion where the Elephant Bar and Opium Terrace awaits for the perfect sundowner. The resort’s all-inclusive basis includes unlimited drinks, so I park myself on the terrace and sip a cool gin cocktail before my Thai dinner at Sala Mae Nam, the resort’s main restaurant. There can perhaps be nothing finer in Thailand for me than som tum gai yang a fresh green papaya salad and tom kha gai a delicious chicken and coconut soup.Then again, the gaeng phed ped yang, grilled duck curry wasn’t too shabby either. Another beautiful morning dawns and yet another surprise; I make friends with a water buffalo waiting patiently outside the lobby. He’s a local favourite and pops in on a daily basis with his keeper to hang and chat. Today though there’s no time for idle buffalo gossip, I’m visiting the Hall of Opium, a museum some ten years in the making and some serious Royal Family investment chronicles the 5,000 years of poppy-growing in the Golden Triangle region. 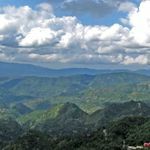 This state of the art facility, literally opposite the resort, offers a fascinating and thought-provoking historical journey of how opium literally changed the world. From its simple origins here in the Golden Triangle, where locals harvested it for its medicinal benefits, into a deadly global industry of misery addiction fuelled by criminal gangs and warlords. No Thai food tonight for me either. 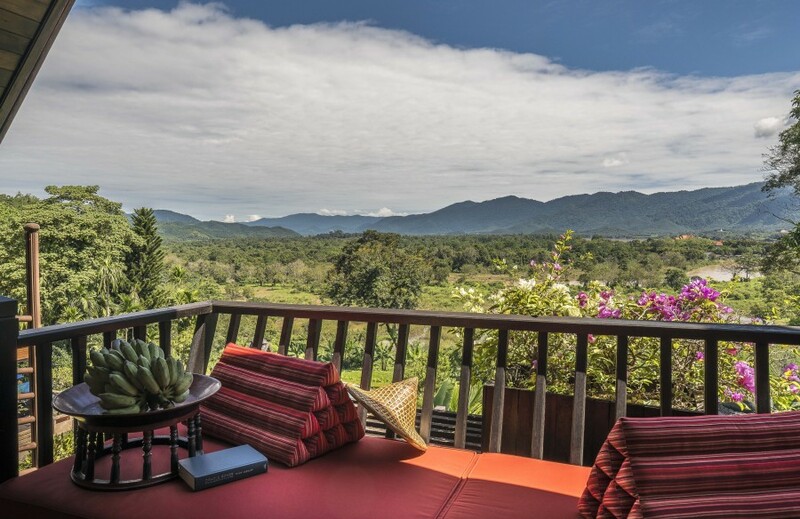 This time it’s down to Baan Dhalia, Anantara’s Italian themed restaurant, the stunning views over the Mekong Valley a more than suitable alternative to a noisy Naples street. 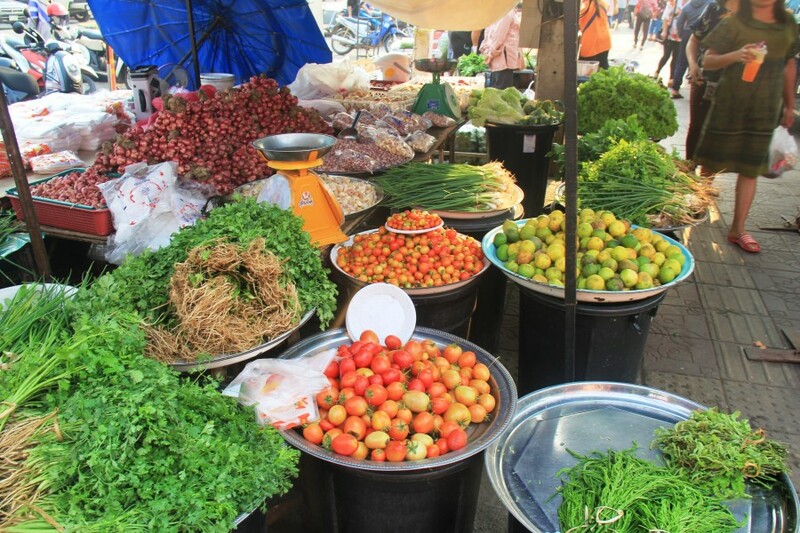 It’s a very early start this morning as I accompany Head Chef Jino into the local market at Chiang Saen to buy fresh supplies for my lunchtime cooking lesson. As dawn broke at breakfast, I sipped my coffee watching flocks of tiny birds skimming above the mist of the red-hued horizon. It was a classic picture postcard moment only interrupted by chef Jino beckoning me over for the ride into town. The market is a frenzy of activity. “Here you’ll see food influences not just from Thailand but Laos and Burma – they are so close,” Jino tells me. 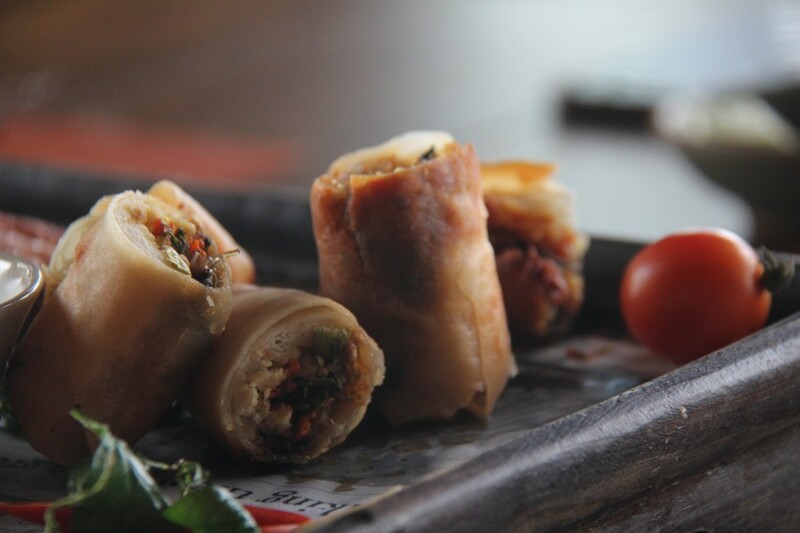 I’m seduced by the aromas of fresh coriander and lemongrass. An ingenious twirling feather contraption keeps the flies at bay from a fresh fish stall. Multi-coloured corn husks and red dragon fruit the stars of a rainbow of produce. We stop for a drink at the only coffee stall in the market; three generations of the same family have percolated coffee here and clearly, there is no shortage of customers. 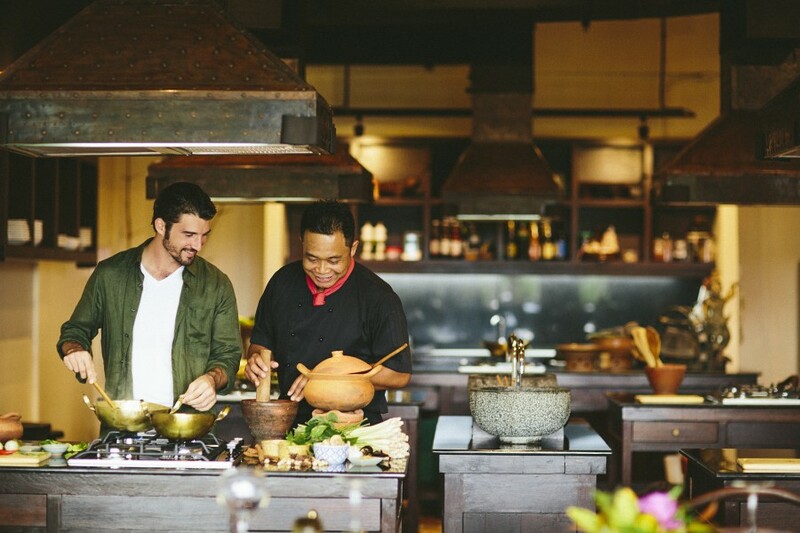 Back at the Anantara Golden Triangle Resort and I’m donning my apron at Spice Spoons, Anantara’s cooking school. Chef Jino seems intent on me cooking my own lunch and frankly, this can only go one of two ways. With all the ingredients already prepped and Jino’s demonstration fresh in the memory I throw together a very passable tom Kha Gai soup blighted by a hint of undercooked galangal, but the phad Thai was epic even if I say so myself. Speaking of epic food encounters, my final dinner is beyond memorable. After a lazy afternoon by the infinity pool and suffering no after effects from my own cooking, I am joining other guests for an Anantara Dining by Design experience down by the resort’s terraced rice fields. We arrive to be greeted by two more elephants that are patiently waiting before a pile of sugar cane and leaves. It seems we can’t have our dinner before we’ve given these two gentle giants theirs. We enjoy a silver service dinner in a converted rustic rice barn raised over the paddy fields with just the night sounds of the jungle for company. This is a fitting finale to a memorable few days. 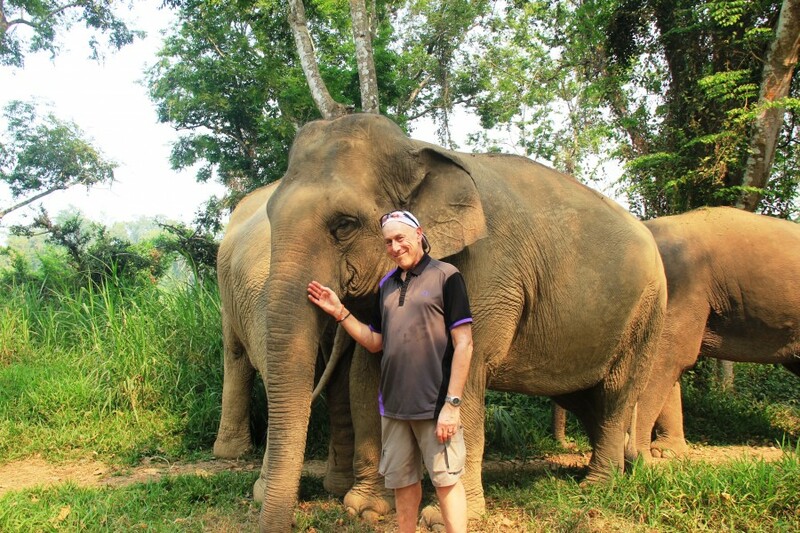 The Golden Triangle Asian Elephant Foundation is doing some remarkable work and with Anantara’s commitment to supporting it, the future is looking good. This week also sees the inaugural King’s Cup and Elephant Boat Race River Festival in Bangkok where all proceeds go towards the Foundation. Still, I can’t help wondering if Bo is missing me as much as I’m missing her. Well, it’s a good excuse to come back and find out. Elephant, market, food and 3 country dawn images (c) Andy Mossack. 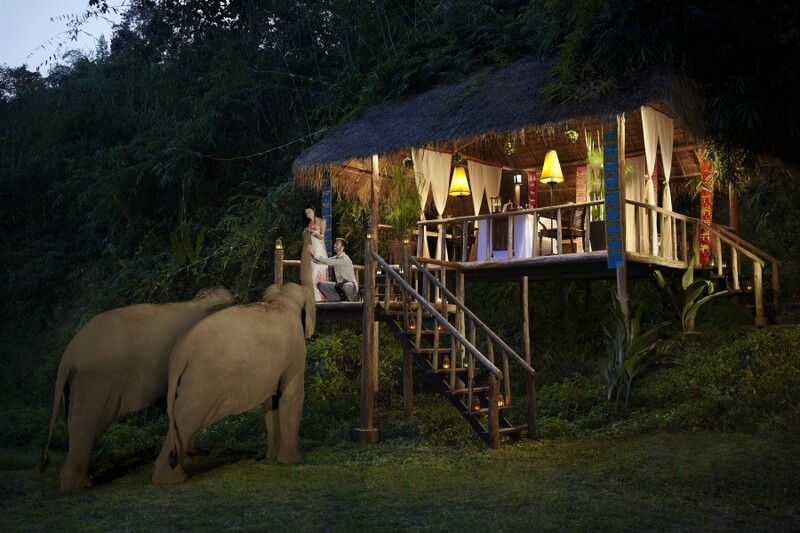 Tell me more about the Anantara Golden Triangle Elephant Camp & Resort. 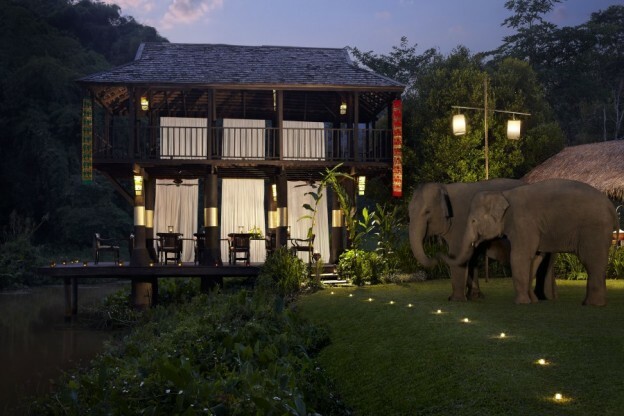 Anantara Golden Triangle Elephant Camp & Resort, 229 Moo 1, Chiang Saen, Chiang Rai, 57150 Thailand. The activities described by Andy Mossack are included in the Golden Triangle Discovery Package. Rates start from £840 per room per night with all-inclusive benefits for up to two people. 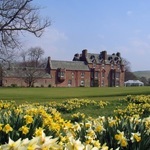 • Luxury accommodation in a Deluxe Three Country View Room including all meals. 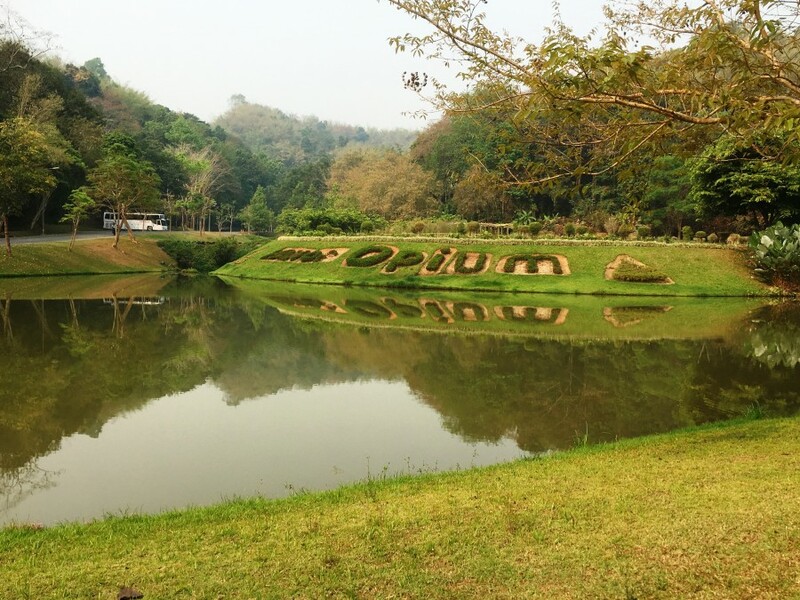 Thai Airways operates daily flights from London Heathrow to Bangkok and internal services directly to Chiang Rai. One week’s Meet and Greet airport parking at London Heathrow with Airport Parking and Hotels (APH) costs from only £90.50. To book visit APH or call 01342 859536. Glad to hear you want updates. I suggest you subscribe to our free weekly newsletter which will give you the latest news on all our content.